Inside every student is a graduate. 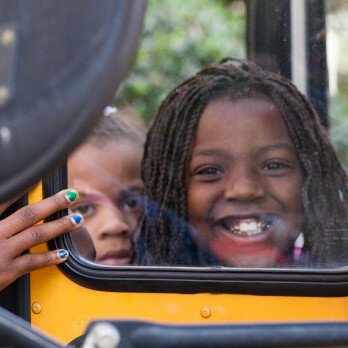 Year after year, Communities In Schools of Richmond (CIS) keeps students in school and on track for graduation. Different kids have different needs. Some need academic help; some need a stable home and food on the table or someone who will listen and help guide the way. Others just need a pair of eyeglasses to stay on track at school. 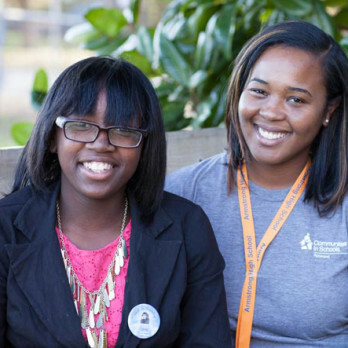 CIS supports K-12 students in 39 Richmond City and Henrico County high poverty neighborhood schools. Through early interventions and enrichment opportunities, CIS works with the community inside schools to help students succeed. From kindergarten through high school graduation, we are guided by a set of 5 Basics—essentials that result in healthy development. When these basics are present, kids find success. Working alongside school staff, parents, volunteers, and business partners, Communities In Schools of Richmond extends the 5 Basics to as many students as possible. Healthy start and a healthy future. Last year 2,500+ volunteers + 350 community partners joined CIS to deliver the 5 Basics.